EIGHTEEN, which will take place at the University of Oviedo, from 12 to 14 December 2017. CLOSURE DATE: June 30, 2017. Madrid’s Real Escuela Superior de Arte Dramático (RESAD) and the Universidad Autónoma de Madrid (UAM), together with the Spanish Society for Eighteenth-Century Studies, held a joint conference entitled “Spanish Musical Theatre in the Eighteenth Century (Short Play): Genres and New Perspectives” on 17-19 November 2015. 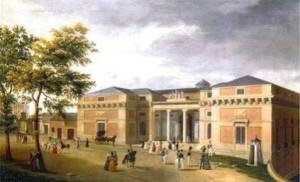 The conference offered an overview of the leading genres of musical theatre in eighteenth-century Spain, with a special emphasis on short plays. Though structured around plenary talks and round-table sessions, the conference also featured productions of plays from each of the various genres of eighteenth-century Spanish musical theatre. Panel talks were also welcome. The conference was spread over three mornings and two afternoons, for which participants were given certificates of attendance issued by both RESAD and the UAM, for 18 hours. 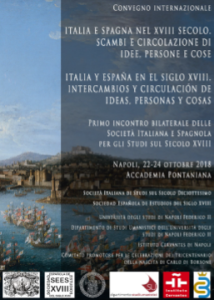 Co-sponsors: the British Society for Eighteenth-Century Studies, the Spanish Society for Eighteenth-Century Studies, and the Universitat de Barcelona. Chaired by John Stone and held at various venues in Barcelona on 10–12 December 2009, the conference was overseen by an advisory committee composed of Joaquín Álvarez Barrientos, Pedro Álvarez de Miranda, Mónica Bolufer Peruga, Penelope Corfield, Philip Deacon, Rebecca Haidt, Xabier Lamikiz, Pere Molas Ribalta, Eterio Pajares Infante, Juan Riera, Gabriel Sánchez Espinosa, John Stone, James Thomson, Marta Vicente, and María Begoña Villar García.